Hi, the request to api sometimes works and sometimes no works, I don’t undertand what is the problem. I tried to change $.ajax to this and no working too. This code worked about 3 hours ago and now no. You need to add event.preventDefault(); at the end of your searchInWiki() function. As far as I can see, you are not processing received data, it only outputs article id in console. 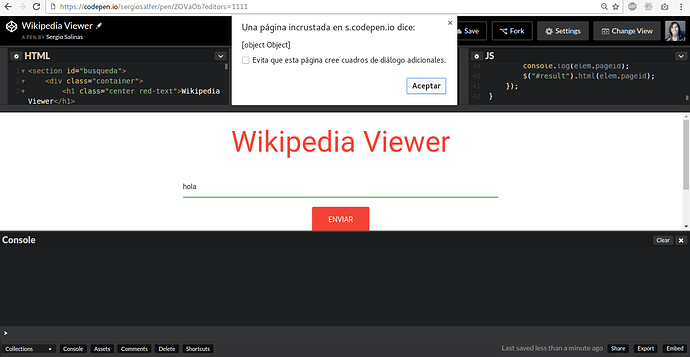 I can’t see any log in the console, I only receive the error mensaje of ajax. Is it fault of my computer?